Yesterday I found myself at Trader Joe’s picking up flowers for the house and stocking up on my go-to classroom snacks – unsalted roasted almonds. But before I stepped inside, I saw the pumpkins and snapped a pic to share on Instagram (see below). 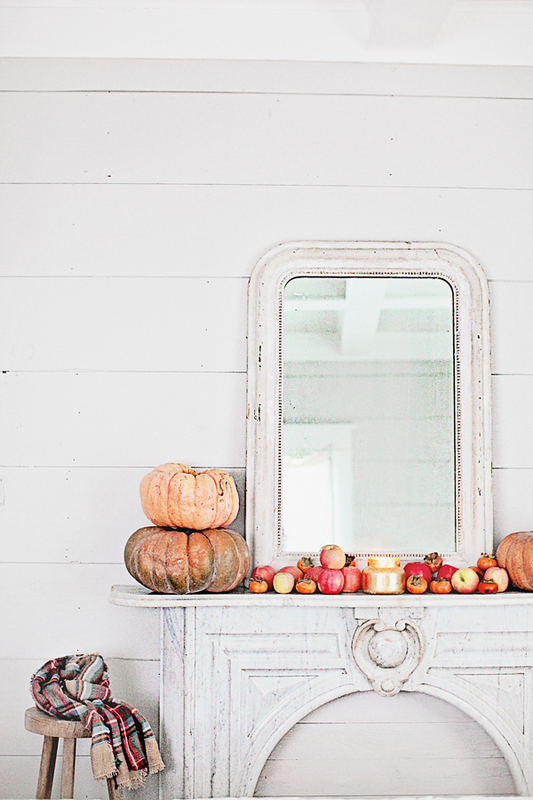 There is just something about pumpkins that makes me smile, and so today I wanted to introduce you to (perhaps many of you already follow) Dreamy Whites: French Farmhouse Inspired Living. Their most recent post showcases simple, yet beautiful ideas for decorating for fall, and especialy decorating with pumpkins (a few apples, olives and quinces made their way into some of the displays as well). 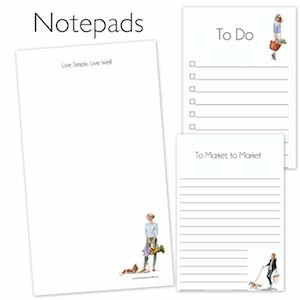 Above is the image that drew me in as it is truly simple, but full of color and fun proportions. 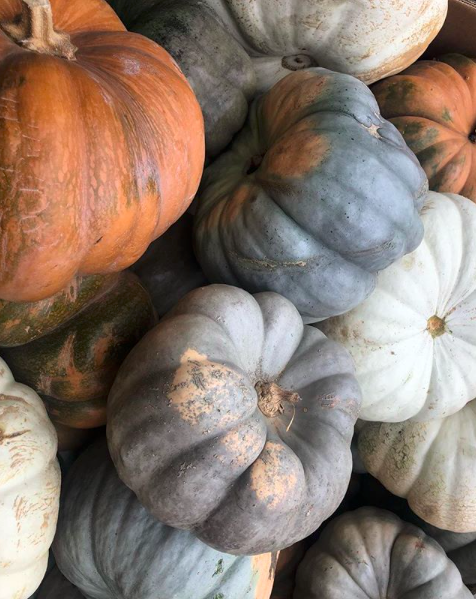 But they share many, many more fall harvest decor ideas from inside their white interior French Farmhouse, and you can view them all here.